It’s kind of ironic. The head of the Congressional Black Caucus accusing anyone of racism. The mere fact he belongs to a caucus based solely on race should tell you something about him. Mr. Richmond on Friday warned us that although former Trump advisor Stephen Bannon may be gone, his influence remains in a host of “racist” policies still prevailing under the Trump administration. What did the head of a caucus based solely on race offer up as evidence for Trump’s racist policies? One example he gave is a push for tougher voting restrictions. Mr. Richmond claiming requiring a picture ID at the voting booth is racist against blacks is the perfect example of what an actual racist would believe. Why would black citizens be less able to get a picture ID than other races? The only logical answer is they are inferior. Of course, they are not but Mr. Richmond must think they are since he figures they can’t do something as simple as getting a drivers license. Mr. Richmond also cited President Trump’s push to investigate voter fraud as a racist policy. 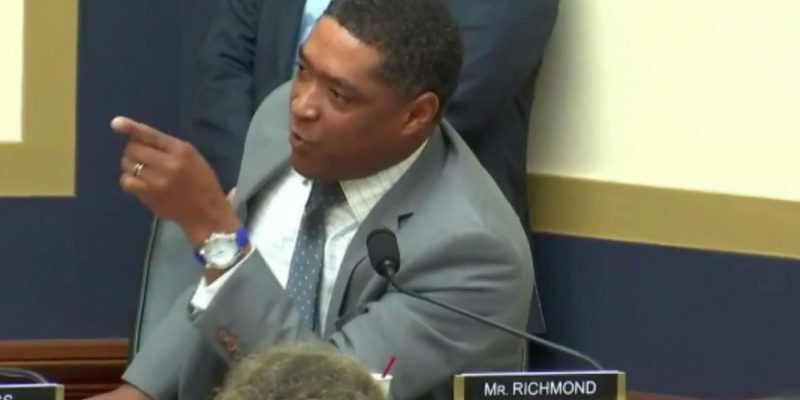 Does Congressman Richmond believe only minorities are cheating at the polls? He must. Why else would he consider investigating such crimes racist? Mr. Richmond also characterized as racist the Trump administration’s push for tougher enforcement of drug laws. The truth is the vast majority of homicide victims related to drug crimes and gang activity are African American. Does Mr. Richmond like to see his own people murdered? Why would he oppose something and label it racist that will most assuredly save lives in our nation’s poorest and most dangerous neighborhoods populated mostly by minorities? “So yes, Bannon needs to go –– as do other white supremacists working in this administration –– but the policies need to go too,” Richmond said. White supremacists in the administration? Is this what it has come to? Are leftists now painting anyone with conservative views as white supremacists? Are you like me and believe the stench of desperation among Democrats like Richmond is beginning to stink so badly it’s unbearable? We are clearly at a new place when it comes to Democrats playing the race card. They’ve taken the example of a handful of actual white supremacist idiots in Charlottesville and they are going all in with it. Racists here, racists there, racists everywhere. Let me say to my leftist friends being as clear as I can with as much honesty as I have I am a pro-life, small government, tough on crime, pro-military and police, proud American, flag loving, God fearing, true blue conservative and there is not a racist bone in my body. Not one! This everyone that disagrees with you is a racist nonsense the media and Democrats are pimping is getting old fast and frankly, I wish the lot of them would just shut the hell up. There are millions of Islamic terrorists drooling over the opportunity to kill non-Muslims and all we talk about in America is what statue we should tear down next. Let’s keep our eye on the ball. We are all Americans and like it or not we are in this together. Let’s stop believing the worst about each other and start giving our fellow Americans the benefit of the doubt.